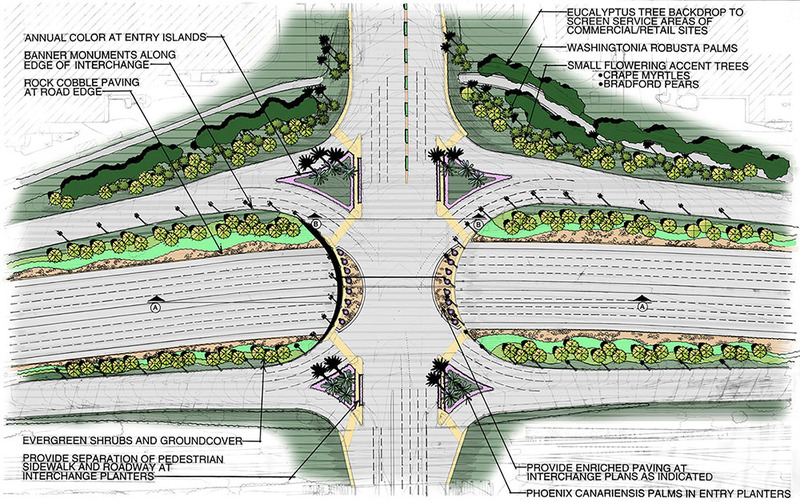 The I-10 – Sierra Avenue Interchange will provide a major gateway and entry opportunity into the City of Fontana. 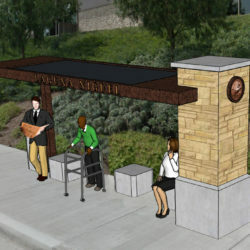 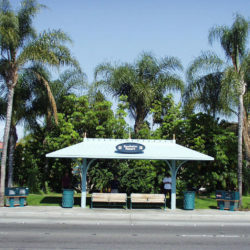 The project’s design is the result of a Design Workshop exercise contacted with the City of Fontana’s Special Project’s Staff. 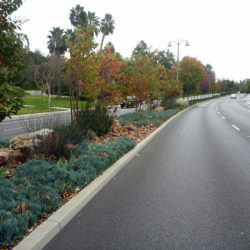 The resulting interchange design has provided planting and hardscape treatments which assist the City in defining this interchange area as a unique entry gateway into the City via Sierra Avenue. 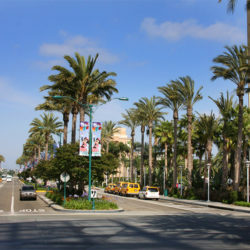 Palm trees, flowing canopy trees, groundcovers, and cobble paving assist in this distinct interchange design along the Interstate 10 corridor.